Sacred agents need to be alert and ready for action. This is the fifth and last in a series on having our senses heightened by God’s Spirit. So far we’ve discussed Peripheral Vision, Eavesdropping, Iocane Tasting and Rat Smelling. 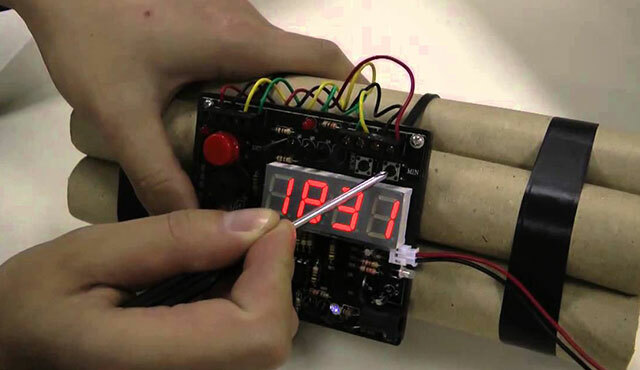 As the episode comes to a dramatic close, we’re grateful for the thoughtfulness of the villain in putting a handy digital count-down display on the bomb. But which wire to cut? The red, the yellow, the green or the blue? Whilst I’m not a professional electrician, I’ve seen enough TV to know the answer. You just wait until the display falls below 5 seconds, and then cut any wire at all. At least, no one’s ever told me that this advice didn’t work for them. God’s kingdom is down-to-earth and Jesus is a hands-on Messiah. It’s a worthwhile exercise to follow his hands and list all the things he touches in the gospels. And as the episode comes towards a dramatic end … Pilate washes his hands and steps back while Jesus steps forward and grabs the cross. Sacred agents are called to the same kind of courage and character. Lord Jesus, give us the mettle to grasp nettles, handle hot potatoes and defuse tensions in your name. Give us the grace to be hands-on in serving the sick, the troubled, the poor, the weak, all in absolute purity. Renew in us the power to lay on hands for the filling with your Spirit, that your kingdom may tangibly come. Let’s repent of the whole Christianity-as-mere-philosophy thing and keep asking the Lord how we can be his holey hands and feet right here today. Are there situations in your coming week where you can be less Pilate and more Jesus?